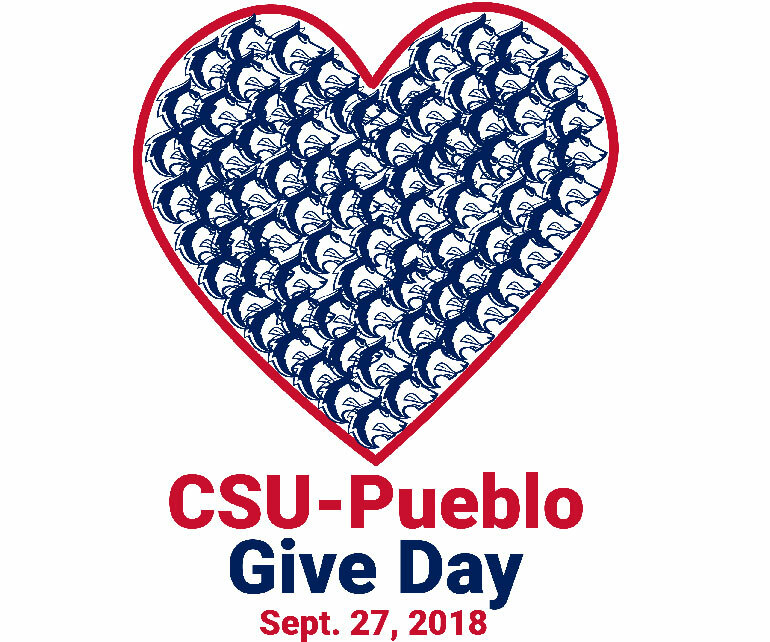 PUEBLO -- The Colorado State University-Pueblo Foundation will host the Third annual #LoveCSUPueblo Give Day as part of Forever CSU-Pueblo Homecoming week activities on Thursday, Sept. 27. Give Day will be a concentrated crowdfunding effort, allowing donors to support one or more of 23 campus-wide initiatives. CSU-Pueblo Foundation utilizes crowdfunding to raise money for CSU-Pueblo students, academic programs and departments, athletic programs, and student organizations. The goal of the day is to have 700 individuals donate to CSU-Pueblo within a 24-hour timeframe. The crowdfunding method allows individual projects an opportunity to increase visibility and raise small amounts of money from a large number of people. Administrative Professional Council Textbook Scholarship Fund - The Administrative-Professional Council (APC) scholarship fund is intended to support the efforts of administrative-professional employees’ children, spouses, and dependents to afford a college education. ASCE Concrete Canoe Competition - The students of The American Society of Civil Engineers (ASCE), are attempting to design and construct a concrete canoe. It will be a life-size canoe, capable of racing, made completely of concrete. Donors are encouraged to give through financial donations, or offering a helping hand in the construction phase of the project. Voices of the Colorado Chicano Movement Oral History Project - Donations will make Chicano activist oral histories available as streaming video on the CSU-Pueblo website. Associated Student Government Emergency Fund - This campaign will help fund the ASG Emergency Fund. This fund takes student applicants who have experienced unexpected financial situations. “The Wolfies” Pack Athletics Student-Athlete Banquet - “The Wolfies” is a department-wide student-athlete banquet. Gifts received will help offset the cost of the meal for the student-athletes. Automotive Industry Management - Driven to succeed in a highly demanding career path requires the newest technology, equipment and instruction. Through donations, AIM can update these technologies and needed resources. Chemistry Club Scholarship Fund - Support chemistry students ability to participate in scientific meetings and conferences to help transform a student’s career trajectory. Classified Staff Student Scholarship Fund - The Classified Staff Student Scholarship fund donates up to $4,000 per year to family members of Classified Staff who are attending classes at CSU-Pueblo. This scholarship will help students with the cost of their tuition and/or books for the year. Career Closet - Career Closet is a program established by the Career Center that allows CSU-Pueblo students to obtain business attire from a wide selection of clothing donated by CSU-Pueblo faculty, staff, alumni, and other professionals. Students will get tips on how to dress to impress. Observatory: Gateway to Space - The CSU-Pueblo Observatory is a unique resource to students, astronomy laboratories, faculty and the community that is seeking funds to complete needed maintenance and updates. Search and Rescue Equipment - Financial support will help the CSU-Pueblo Search and Rescue Team purchase rescue equipment and ensure continued service to Pueblo County. Hasan School of Business Study Abroad Opportunity Fund - The Hasan School of Business believes that our students should travel and experience other countries, cultures, and business practices. Academic Excellence: Bob Mitchell Memorial Scholarship - Contribute to student success through history internships and honor Bob Mitchell, co-founder of the Colorado Mental Health Institute at Pueblo Museum. International Scholarship Fund - Funds will be raised in support of international students and their study costs associated with attending Colorado State University-Pueblo. Lambda Chi Alpha Philanthropy Project - Funding raised through this campaign will go towards philanthropic efforts and projects initiated by the fraternity. Mass Communications: Student Journalism - The Today, the student-run newspaper and online news site at CSU-Pueblo, must raise printing costs for its bi-weekly publication. Southern Colorado Association of Nursing Students (SCANS) - SCANS gives back to nursing students through a variety of events including; speakers, workshops, and educational opportunities. This fundraising initiative enables SCANS to provide beneficial services to student nurses and the medical community. Pack Pantry - The mission of the Pack Pantry is to alleviate food, hygiene, and school supply hardship on the CSU-Pueblo campus by providing emergency food, hygiene items, and school supplies to CSU-Pueblo students, faculty and staff in need. Smithsonian Internship - The Smithsonian Internship allows CSU-Pueblo students to experience hands-on learning at the Smithsonian Institution in the summer. CHASS Helping Hands Fund* - The CHASS Helping Hands Fund provides monetary assistance to students in the college who face unexpected financial hardships. CSU-Pueblo General Scholarships* - Raising funds to provide financial assistance to CSU-Pueblo students. CSU-Pueblo Annual Fund* - The CSU-Pueblo annual fund concentrates on raising unrestricted monies to support CSU-Pueblo students and University priorities. The CSU-Pueblo Give Day will be the third time the CSU-Pueblo Foundation has utilized crowdfunding as a fundraising tool. The crowdfunding website will be open to donors all day, in the hopes that students, alumni, faculty, staff, and friends of the University will show their love of CSU-Pueblo by supporting the highlighted fundraising initiatives.